Grizzly Riders International works to foster and promote the development of The University of Montana by bringing together people with diverse national and international interests. We are united by our love of Montana’s natural environment, the fellowship nurtured in Montana's outdoors and our support for the University of Montana. In cooperation with The University of Montana Foundation, the Grizzly Riders provide a unique social opportunity for members and their guests and act as a channel for endowments, scholarships and memorial funds for past Riders. The Grizzly Riders provide grants and financial support to a wide range of University of Montana related academic, conservation, artistic, student and scholarship projects. Founded in 1965, members of the Grizzly Riders International first gathered to ride, fish and enjoy a wilderness experience in 1966 after a University of Montana Foundation Trustees meeting at The University of Montana. The original concept of taking a group of people with diverse national and international interests into the Montana back country still binds the Grizzly Riders together on our annual Ride. 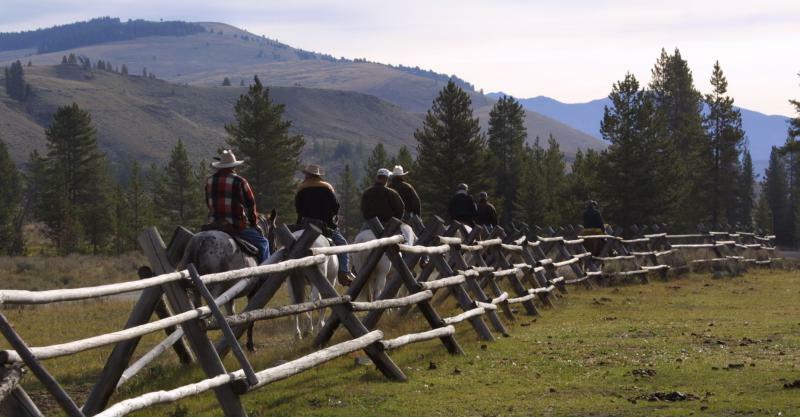 The Riders gather each September at one of Montana's renowned guest ranches to enjoy riding, hiking, fly fishing, floating, evening conversations....and of course, good food, the pleasures of an evening fireplace and fellowship nurtured in Montana's outdoors. Grizzly Riders International is led by a Board of Directors that is responsible for the bylaws, planning and direction of the organization. Each Rider may nominate guests for the annual Ride. An attempt is made to develop an eclectic group of individuals who share in the Riders' mission, goals and love of Montana. Those who have come as guests may, in time, be considered for membership in Grizzly Riders International. 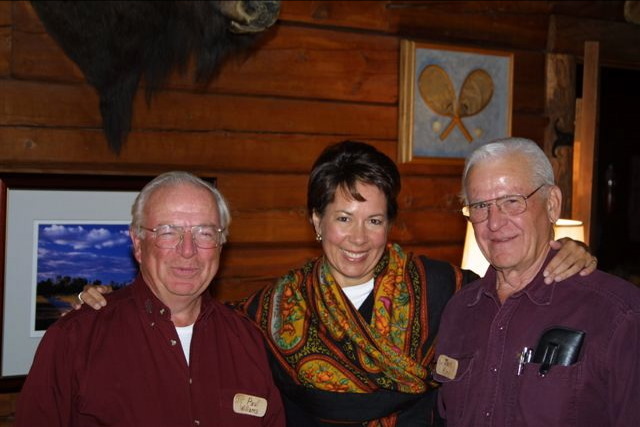 Grizzly Riders and guests gather in the E Bar L Ranch lodge each evening to share stories of their day's ride and fishing trips, enjoy a great meal and listen to The University of Montana faculty and staff update them on outstanding academic programs and current research projects. After Breakfast, Riders and guests proceed to the E Bar L Ranch to check into their cabins, meet the staff, enjoy a brief trail ride or hike around the ranch and have lunch. You may support the Grizzly Riders International and its many charitable projects by making a gift to the Grizzly Rider Memorial Fund. To make a wire transfer contact the Trail Boss. Contact the Trail Boss to make a gift of securities or to learn more. Pledges are gifts that are paid over time. To make a pledge contact the Trail Boss.